Winter is the season for hibernating and sleeping. Even the animals know this is the time of year to catch up on a little shut-eye. 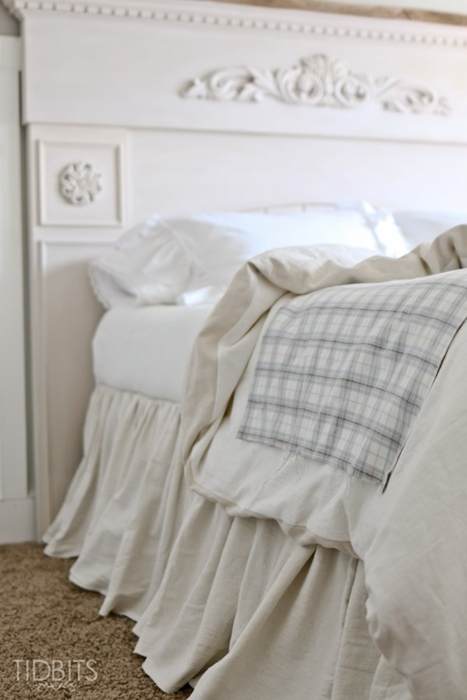 What better way to snuggle up for a winter’s nap than with cozy comfy bedding? And if the bedding is soft and beautiful – all the better! 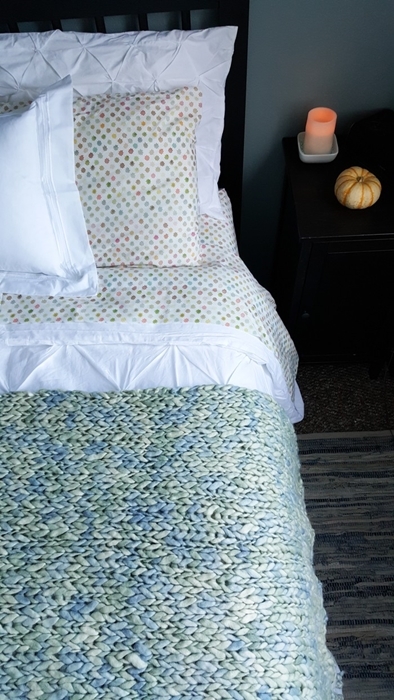 Today I’m sharing 15 examples of bedding in a variety of styles from some of my blogging friends. 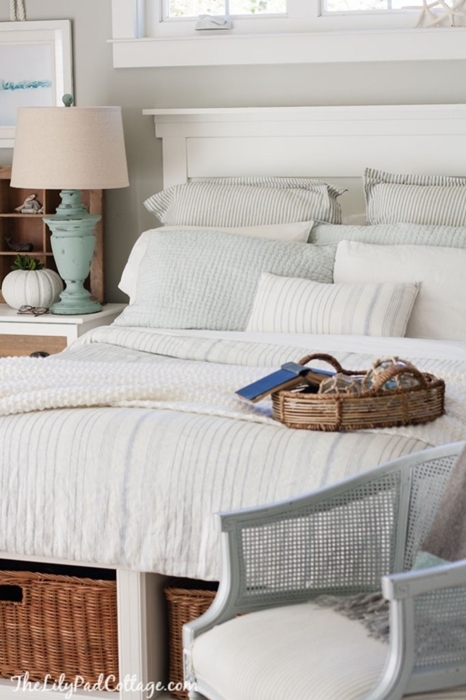 Softly striped sheets and textured bedspreads create a pretty coastal style bedroom at The Lilypad Cottage. 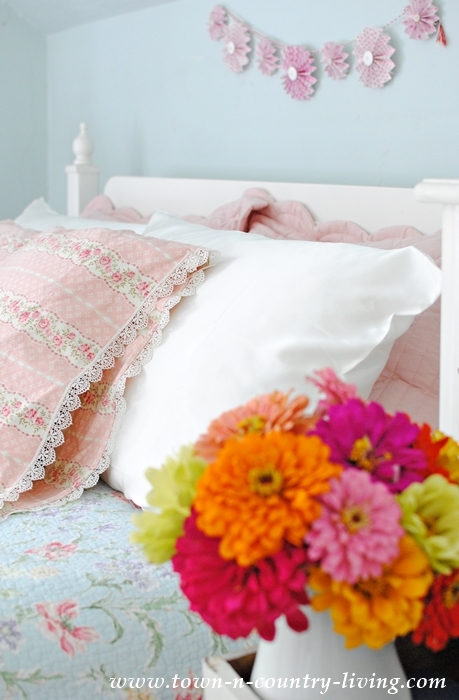 Equally soft is this shabby chic style bedding found at Tidbits. So pretty! 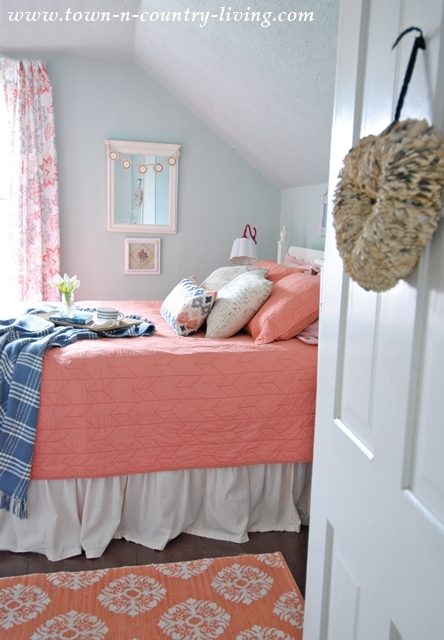 This gorgeous guest room from Refresh Restyle is adorned with creamy, cozy, and comfy bedding. 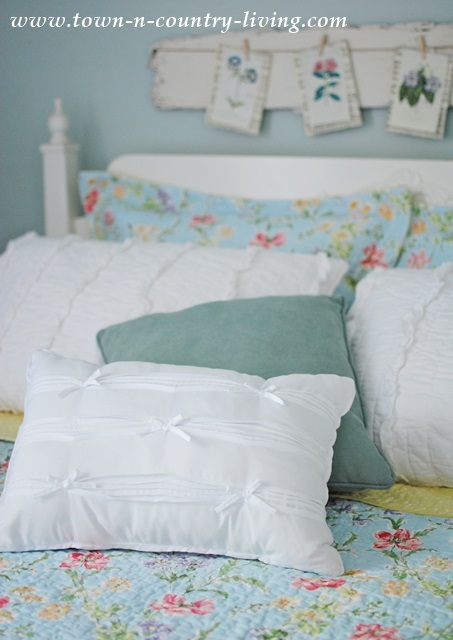 Janine at Happy Happy Nester shares organic bedding on her beautiful blog! Shabby chic bedding in a pretty floral might be more your style if you enjoy a feminine bedroom like this one from Just Destiny. 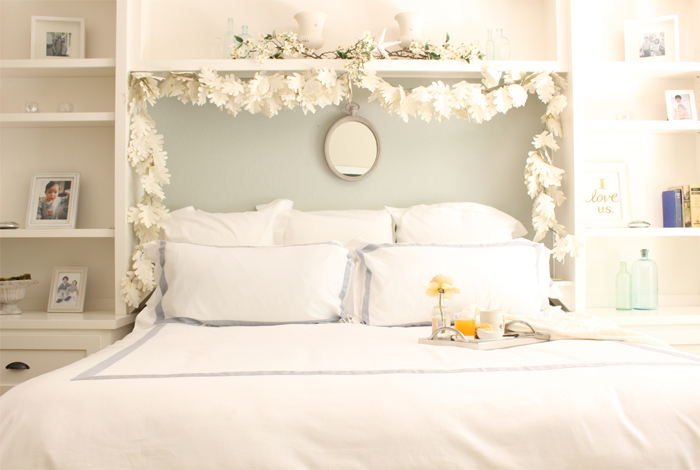 Cool blue bedding like these linens shown at Lavender Lane are always a restful choice for a little shut-eye. Dark bedroom walls create a cozy cocoon. 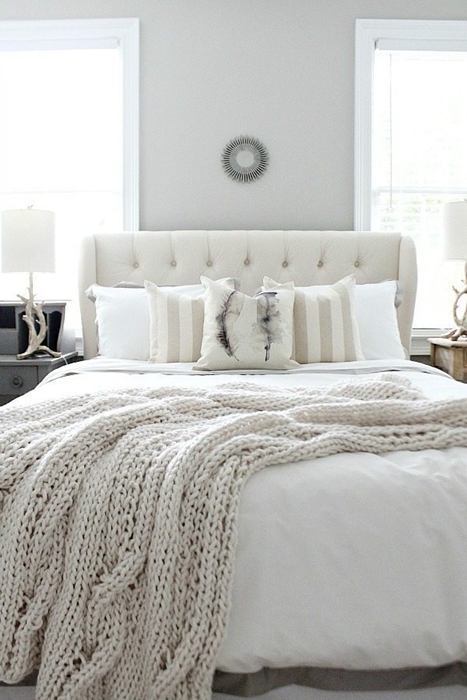 Gray and white bedding like this set found at Nesting with Grace are perfect for curling up between the sheets. My favorite bedding comes from Annie Selke, and Stuffed Suitcase shows her pick for the bedroom. 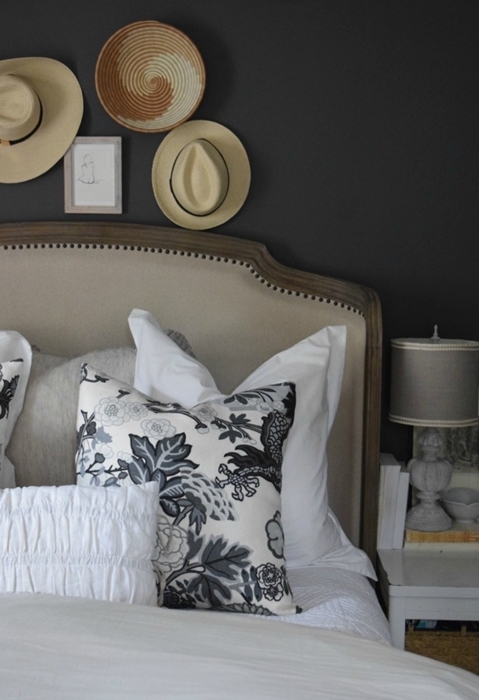 Kelly Elko shows how to pair a variety of textiles with white bedding and a beautiful metal bed. 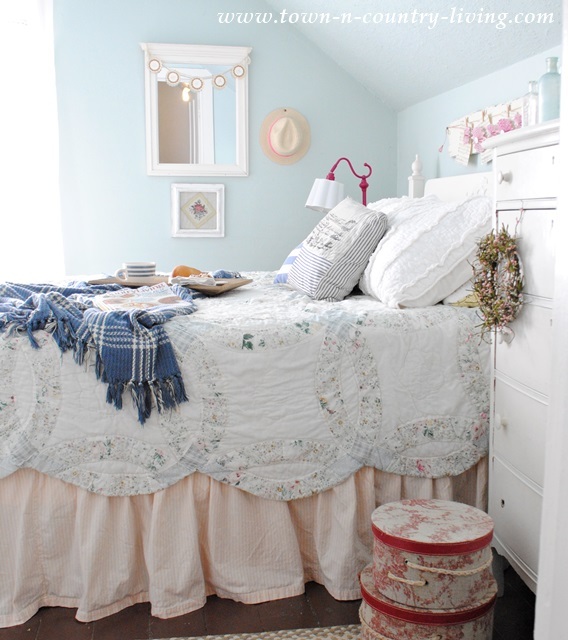 Vintage bedding lends a sweet touch to my under-the-eaves bedroom. As we head into summer, I like to brighten up my bedding a bit. Although this spring and summer I’m thinking of sticking with white and changing things up from time to time with a new accent color. If you aren’t in the market for new bedding, consider adding more pillows to your bed. It’s an easy way to add color and pattern without breaking the bank. Especially if you sew your own pillows! Pamper yourself with silk pillowcases, which are said to be softer and better for your skin. 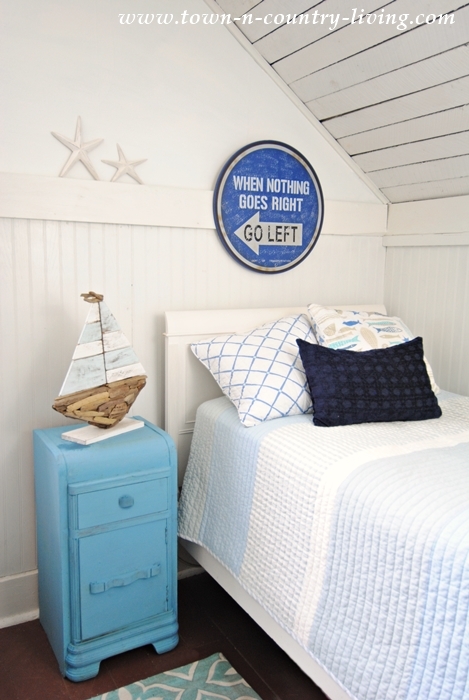 My son’s bedroom wears a coastal theme, but not for long. 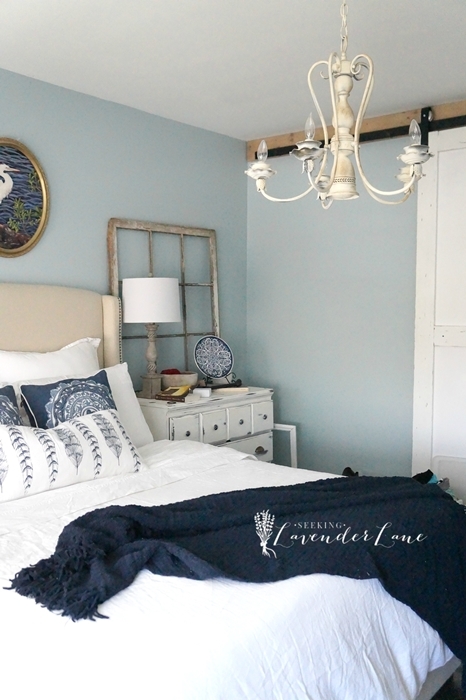 I plan to do a little re-decorating in this room but for now, a light coastal quilt graces the bed. Soon it will be time to swap out heavier winter bedding for lighter, cooler sheets and comforters. 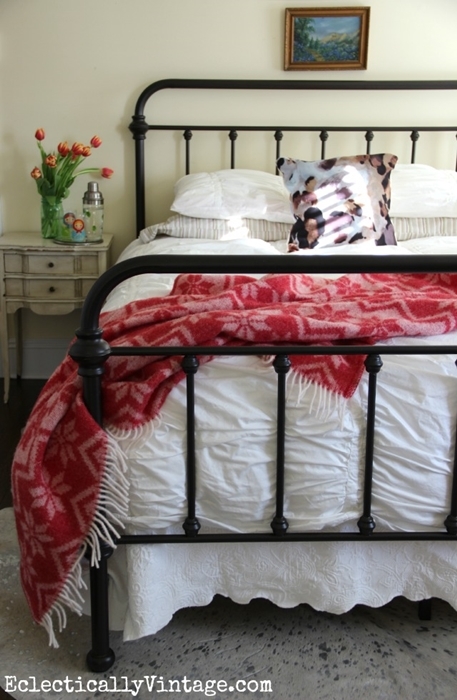 When it comes to bedding, do you prefer solid colors, or fun patterns? You inspired me to go tear the current sheets, etc off the bed and lighten up! Where, oh where, can I find a sign with the wording from your son’s room? Has anyone seen it for sale? WHERE? Also, is there a way to make a dust ruffle that does NOT make you take the mattress OFF THE BED every time you want to change the dust ruffle or launder it? HELP. Would appreciate details or pattern on THIS dust ruffle. Oh my goodness, thanks so much for including me in your inspiring post! I feel so honored since I adore your blog and you! What great bedrooms you have found, they are all so cozy and inviting. I too, loved the sign in your son’s bedroom. Where did you find that sign. I would love to have one just like it. I also enjoyed the pretty textiles. Thank you so much.